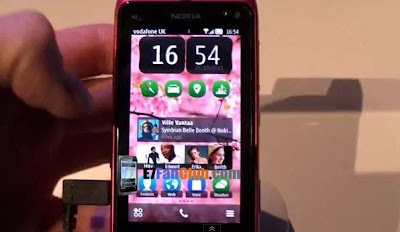 Here is a video from Nokia World, showing official Symbian Belle running on Nokia N8, E7, X7, C7 & C6-01, video after break. It seems that Official Symbian Belle is almost ready to roll out as it has been demoed on the S^3 devices. Nokia has officially told regarding the availability of Symbian Belle in 4th Quarter of 2011, most probably in December, which is pretty close now.